Wouldn’t it be wonderful for you and your kids if they could head off to camp with the peace of mind and confidence that they aced their end-of-year exams? Can you imagine the relief of knowing that all of their hard work and preparation for APs, Regents, and SAT II subject tests, paid off? 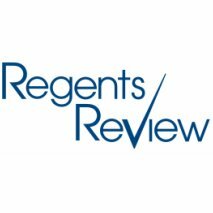 With this in mind, we are excited to introduce Regents Review – owned and operated by Tyler Hill Camp parents, Michelle and Harris Zakarin. Regents Review has been helping middle school and high school students excel on these exams for decades, and the feedback has been outstanding. All of their courses are taught by top-tier teachers who are licensed, experienced experts in the subjects they teach. Their unique course offerings provide a complete review of the material in just one day! Students receive comprehensive instruction, practice exam-style questions, and time tested tips, strategies, and mnemonics, to maximize their study time and efforts and ensure test day success. Regents Review offers classes in Long Island, Westchester, Manhattan and Rockland County. For more information and to access their schedule of classes, feel free to visit www.passtheregents.com or call (631) 491-0075. Best of luck to everyone starting their spring semester – and remember, that light you see at the end of the tunnel . . . IS CAMP!! !